Starting a business can be one of the most satisfying experiences of your life, if you are able to handle the challenges that come your way. Becoming an entrepreneur is a key goal for many people, but staying in business takes effort. According to the Small Business Administration, roughly 30% of all new businesses fail in the first year, 50% by the second year and 66% by 10 years. Longevity and survival in business is not a given. Data from the U.S. Bureau of Labor Statistics shows that just over 20% of all businesses make it past 20 years. While the prospect of starting your own business is exciting, being able to do it for the long term profitably takes considerable effort and planning. One of the most important parts of running a business is cash flow. Here are five essential financial steps to take when you start and run your own business. While circumstances may catapult entrepreneurs into starting businesses early, having a cash buffer makes a huge difference in the daily operations and personal stress that you have. If you start a business without enough working capital, you may find yourself in a tough spot when you have unexpected expenses or your customers pay late. It is advisable to save several months of cash flow so that you are prepared and can weather storms that come your way. The more cash that you can stash, the better. If you have already started your business and do not have the capital reserves, aim to build them. Be disciplined about it as best as you can and put aside money every month until you reach a minimum of six months operating cash flow. Running a business has risks. These can include liability issues pertaining to the product or service offered, a customer who is not satisfied with a purchase made or unexpected legal issues that arise at your business location such as a natural disaster, flooding or accident that occurs to a guest or employee on site. There are risks that you may not anticipate either which makes it important that you get business insurance to protect yourself from these concerns. Like car or home insurance, your business insurance will have a deductible that you are responsible for paying making it all the more important that you have some cash saved. When you first start a business, your business credit is essentially your personal credit so having good or excellent credit is very important. Paying your bills on time and keeping the percentage of credit used on your available credit cards low (30% or lower is recommended) can help you maintain and/or raise your personal credit. Before you apply for any new credit, get a credit report from the three major reporting agencies – Equifax, Experian and TransUnion so that you are informed and know your options. Then, if you need to raise your credit before you apply for a credit card or loan, you can do so. Setting up business credit is important for your business and to protect yourself from personal liability. You can do this by getting business credit cards, a line of business credit, a business loan and by reporting your business credit to Dun & Bradstreet. As you build your business credit history, your company will be seen as more reputable to work with. This will help you in securing further financing for your company, getting larger contracts with bigger companies and negotiating better credit terms. Cash flow is by far the most important aspect of a business other than providing your customer with the product or service that you are selling. If you run out or do not have enough cash flow at any time, operations may cease and your company will struggle significantly. For many small businesses that are waiting to be paid by customers 30 days or longer, this process can be very difficult to experience and can be the difference between survival and going under. This is why negotiating payment terms is important. As a buyer, aim to get more time to buy supplies for your company, whether it is equipment you are leasing or regular services you are paying for. See if you can have 30-day payment terms to extend your cash flow while you wait for your invoices to be paid. Running a business can be one of the best decisions you ever make. By being smart about your financial decisions, you can enjoy running that business for a long time to come. 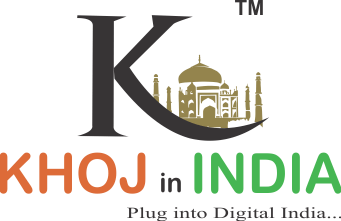 As the CEO of a 45 person company KHOJinINDIA, communicating my vision has been at times difficult for me. I can see clearly where I want to take the business, but communicating this with everyone on my team is more difficult, especially since we are spread across several offices. In 3+ years, my startup has grown from my living room to a whole floor in a midtown building. I’ve certainly enjoyed success, and the times when the company has grown the fastest have been those when communication lines were strong. Regardless of company size, a shared vision is needed from the bottom to the top of the organization, both at the team and individual level. If every individual, team, and business unit has a clear concept of how their work helps to contribute to broader goals of the company (revenue or otherwise), it is far more likely that they can work harmoniously to achieve them. I sometimes envision running my company like a conductor leads an orchestra. If I can write a score for each section and show them how to effectively play their part while blending with the others, then truly beautiful music can be made.